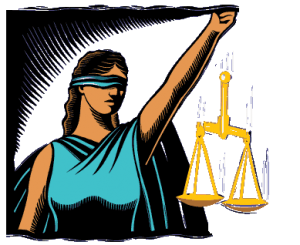 This flavor of justice aims to use American courts and legal processes to validate torture and other abusive practices, to validate the supposed benefits America has received from these practices, and to shield political actors and their helpers. The justice of secrecy also applies a presumption of truth to classified information and frustrates efforts to challenge it. As these cases continue to gain coverage, it is important that political leaders, as well as an educated public, will be able to combat these heinous acts with a resoluteness and courage.